This little quilt has been riding around in my handwork tote bag for more than a year. I guess I tended to pull out the sock knitting more than the quilting when I needed a project on the go. It's quilted in a free form way without marking. Occasionally I would scratch a line with my needle and follow that but mostly I just drew the quilting lines with my stitching as I went along. Sometimes I did a different motif in each piece of fabric, and sometimes I combined several together with the quilting. 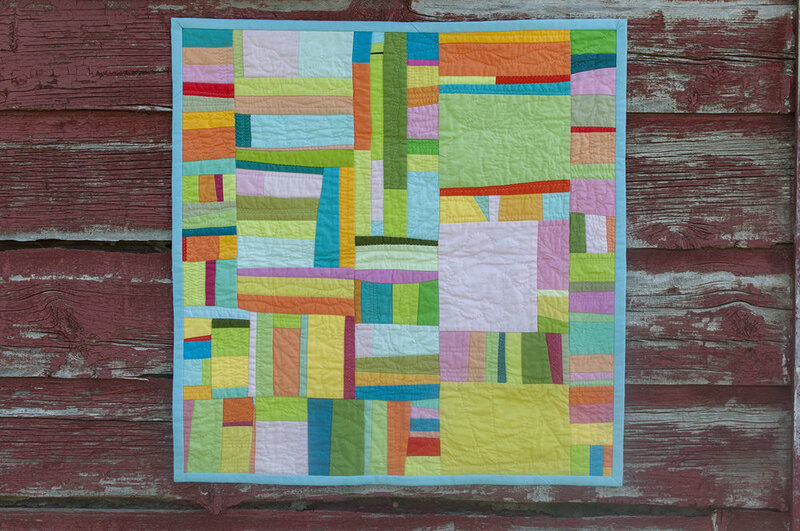 I've used this method of quilting on a couple of other small quilts and really enjoy it. Maybe I should try it on something big! Finished size 24" by 25".